I posted on /pol for the first time today. Yes, it was the real me and this is the proof. For the record, I, Ben Garrison, am neither anti-Semitic nor a Nazi. The hate memes repeated there have nothing to do with me. It's good that there's a place for unfettered dialogue and expression, but all-too often the conversations are reduced to the lowest common denominator: Hate. Hate is like a bar room brawl. Instead of having a lively discussion with friends over a beer, all attention gets riveted to the brawl. Conversation ends and hate takes over. The hate memes must be repeated over and over by their perpetrators. That's why the same hate memes are reposted daily on /pol with mind-numbing regularity. The same 'Jew-meme' character rubbing his hands together is seen hourly. The same Hitler memes are repeated ad nauseum. Day after day. Week after week. Month after month. Year after year. Wouldn't it be more interesting to see posts that escape morass of hate? Hate is not cool. Hate is destructive. Hate is boring. You've been there. You've done that. 4chan is a disgusting snake pit of hate. It's a perpetual 7th grade hell of put-downs and lies. Don't expect it to ever mature. 4chan long ago surrendered to the FBI due to illegal content allowed on /b. It's now a honeypot to snare criminals. That's fine, but it's also being used to smear and discredit those who really do value free speech. Are you a blogger who values liberty and the Constitution? Are you against the unfolding police state? On /pol you can expect to be smeared regularly. You'll be called anti-Semitic and a racist. Straw men and ad hominem attacks are typical tactics used by the far-left who grab the spigot of hate on /pol and aim it at their libertarian targets. 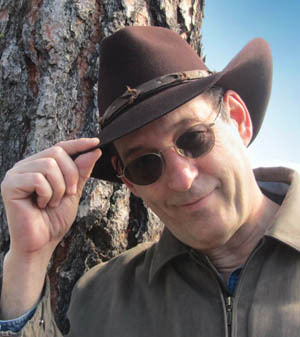 Anyone can post using the name Ben Garrison--or any other name. It's a free for all of impersonation, lies and deception. There's no responsibility or accountability there. Never believe anything you might read on 4chan's /pol. Any so-called 'free speech' existing there operates at a very low level of consciousness. Stay away.